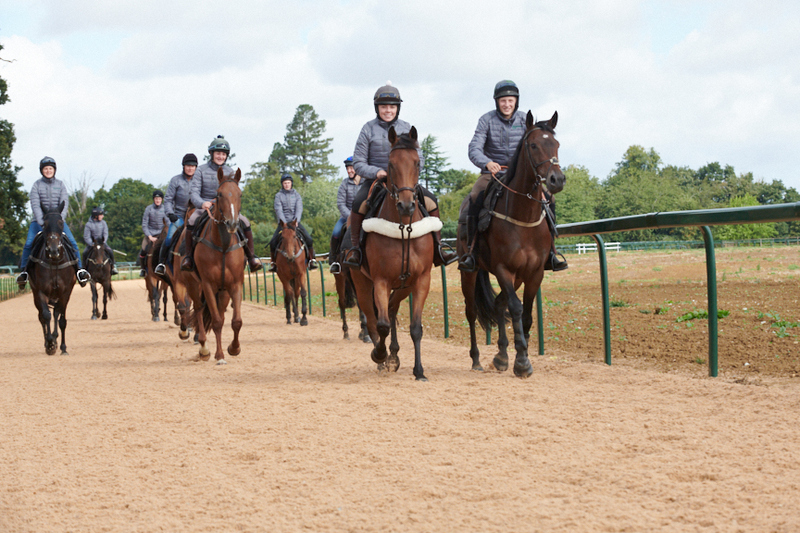 The fantastic purpose built facilities at Wardington Gate Farm, based on the beautiful private Edgcote Estate, provide us with a stunning location, as well as being conveniently placed for all major racecourses. 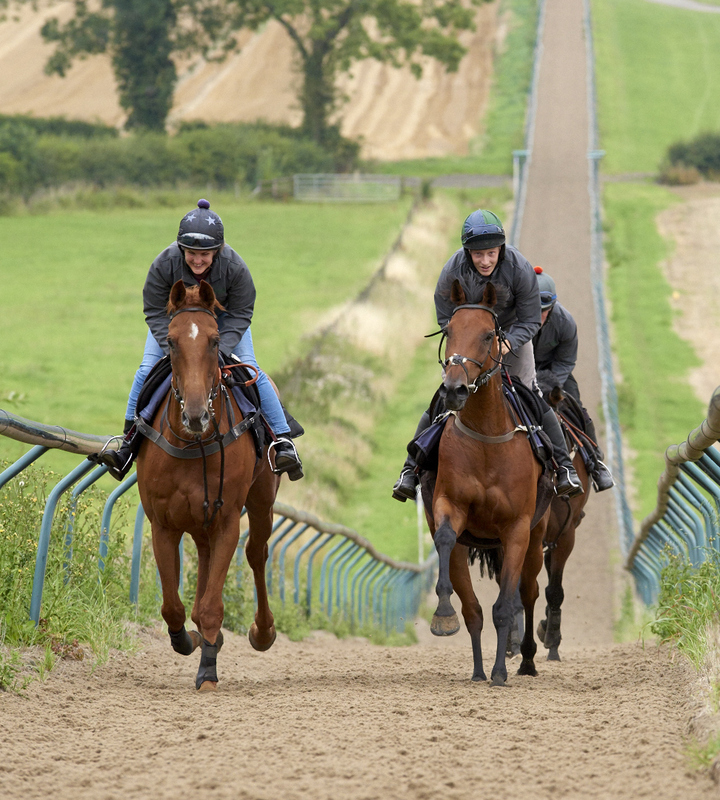 Extensive training facilities include a 6 furlong all-weather hill gallop with Andrews Bowen surface. This is an ideal balance for stamina and fast work. 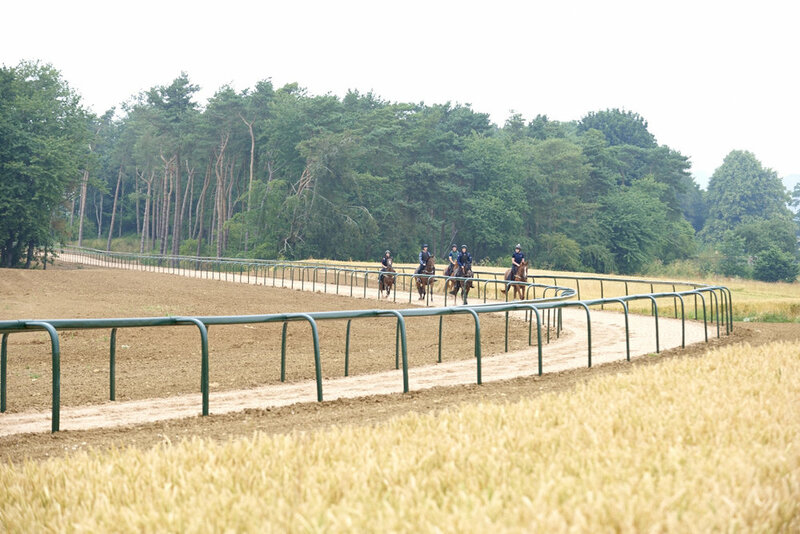 This is maintained daily ensuring perfect conditions for the horses to train on. 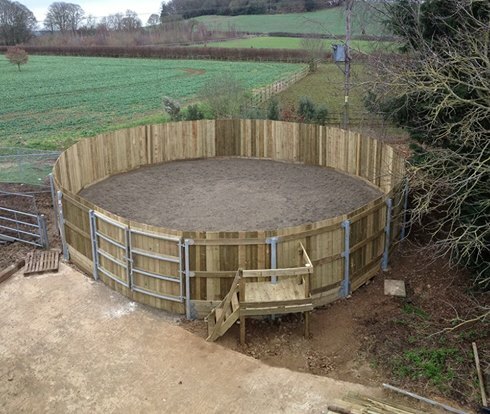 A new all-weather flat circular 5 furlong gallop with all-weather schooling strip. There are 1 1/2 miles of well established grass gallops, together with a large indoor school where much of the schooling and jumping is done. 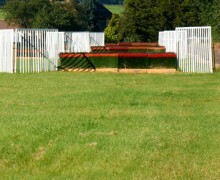 Additionally there is an excellent grass schooling ground and starting stalls. 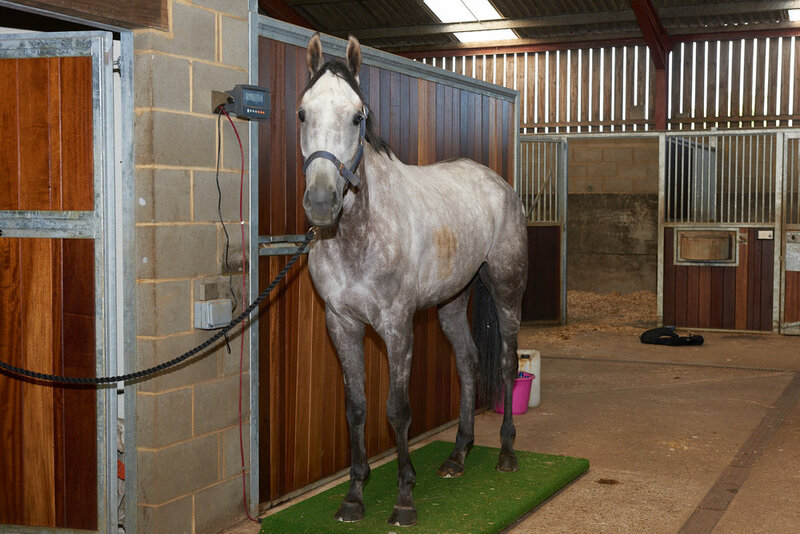 Other facilities include 2 Claydon horse walkers (these are used for warming up before exercise, cooling down and for horses needing gentle exercise or for a stretch of the legs in the afteroon), a Solarium (great for relaxing the muscles before or after exercise or racing) Weigh Scales, Lunge Ring and access to over 2,000 acres of idyllic countryside, which enables each horse to be trained as an individual in a safe, quiet environment. There are 20 acres of new stud fenced paddocks which are used to turn out horses on a daily basis enabling us to keep the horses happy and relaxed with plenty of fresh air. 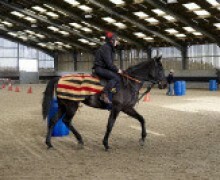 We can also accommodate horses during their breaks from training. 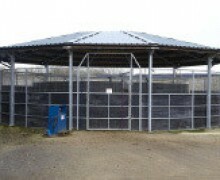 We have spacious and well ventilated custom built Monarch loose boxes constructed in a covered barn. Along with a large tack room, feed room, drying room, vet room, staff changing room, staff room, rug store and racing tack room. 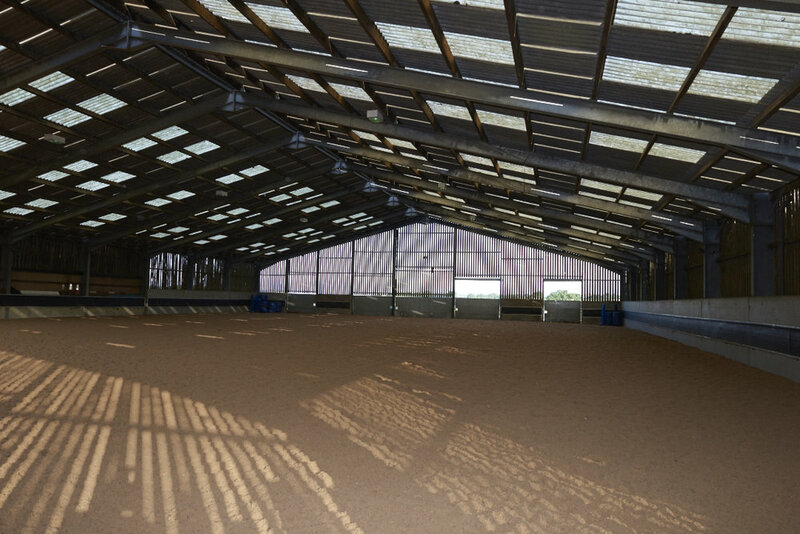 All boxes are large and airy and all the horses can see each other or have a window to look out of, making it a relaxed atmosphere for the horses and a great working environment for the staff. All staff are lucky enough to live on site in cottages converted to a very high standard.